I’ve written a lot about time over the six years or so I’ve been carrying on with this craziness called The Sound of One Hand Typing. I went looking for all the times I wrote about time, and ended up with 200+ pages (5 entries each) of posts where I used the word itself, so that was pretty much useless. At some point, I should probably sit down and go through the 2,207 posts (including this one) I’ve written and do a better job of coming up with tags, so all I would have to do would be to enter the tag (e.g. “time”) and have all the posts magically pop up. I know it sounds like a waste of time, but it would at least help me when I get an assignment like this one, to see what I’ve already said so I don’t repeat myself which, if you’ve read this blog for any length of time, you know I do a lot of. Here’s my favorite graphic about time. 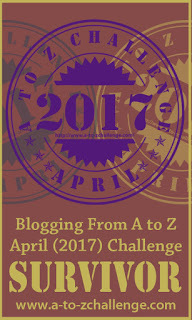 The A to Z Challenge for 2018 is history, but I still have comments to reply to and visits to make. If you left me a comment and I haven’t replied, rest assured I’ll get to you and reciprocate your visit, if I haven’t already. So many blogs, so little time. Next year’s challenge will be the tenth. I already have my theme, and it’s oddly appropriate. That’s all I’ll say about it for right now. And that’s all I’ll say about time for now. I feel like time is traveling in waves; some are fast, and some are slow. There is always time to re-read your posts to see how clever you’ve been all along. I would say you’re right there. Sometimes I run across one and just sit there and admire it. Then I try to be even cleverer the next time. Think about it, though: if time travel is possible, wouldn’t it stand to reason that someone would have come here from the future and told us about it? On the other hand, maybe not. That’s a good point, JOHN. On the other hand, I sometimes get into some stuffs that one could describe as being “Very Non-Mainstream”. And I remember reading and seeing some things that seemed to indicate that on occasion people from other times (either the past OR the future) have kind of overlapped into the present. Granted, I’ve not seriously studied these cases like I have other topics, so I’d not be willing to take any sort of position on them, but they do intrigue me. Stories such as the one about the disappearance of David Lang in Tennessee in 1880 (which fired up my imagination at about the age of 11 or 12). Where did he go? Did he step into some kind of Time Vortex and get transported to the past or future? And if so, who there would believe him? There are multiple reports of people in the present day seeing images of Civil War soldiers fighting in the dead of night on the Gettysburg battlefield. There are some photographs (which I acknowledge could possibly be photoshopped) of people at old historic events wearing clothes of a style that would not come into fashion for 50 or 60 years into the future. There are just so many mysteries in this world that we will probably never understand until we’re out of this world. 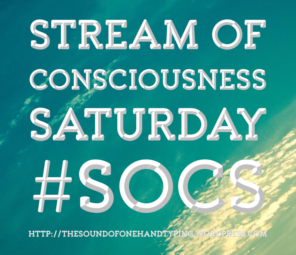 But I have a sense that somehow everything that has happened and everything that’s going to happen is currently and continuously happening all at once but on myriad vibrational levels. Now, whether or not it’s possible to move in and out of those levels, visiting them, I wouldn’t speculate. But if it is, then that would raise the question of whether or not it’s wise. Just because something, perhaps, CAN be done doesn’t necessarily mean it ought to be. But it’s fun to speculate on things like this occasionally and exercise one’s imagination. Wow. Already have a theme for next year? That’s incredible. Good use of time… planning ahead. Wow! Ten years of A to Z? Have you participated in all of them? I thought I came up with my themes early, usually Dec or Jan – but never a year ahead of time! Way to go. I’ve only participated since 2012, so this past challenge was my 7th. Sometimes you just have to strike while the iron’s hot. I started riffing with ideas and suddenly had a word list. I was watching an interview someone was doing with Kanye West where he basically said the same thing about Time and how it’s not real. He must have read that quote first. 😉 It does really make you think though and it makes me feel a lot less guilty about “staying up too late.” There’s no such thing as too late!! I’m retired, so there’s really no such thing as “too late” anymore. This was an interesting video: https://www.youtube.com/watch?v=vrqmMoI0wks I think it reaches the conclusion that past and future are just illusions and that there’s really nothing except now…. Seems like time is everything when we need it and nothing once it’s gone. Time is definitely ephemeral that way. I loved the images you shared about time. It’s true that we have become a slave to time in many ways. So few of us actually live in the moment and enjoy it because we are either dwelling on the past or worrying about the future. I’d enjoy reading your new ‘riffing’ feature. Well, I’ll probably do more riffing as time goes on. Right. That’s why Daylight Saving Time is just a psychological change, making it appear that you have more daylight. We change the clock to suit our life. Animals can’t tell time, so they see it getting light and start doing their day things, and as it starts to get dark they know it’s time to do night things.